No organization can survive and thrive without the efforts of its volunteers. Because NPMA committees are so important to our operations, making sure they are populated each year with quality, dedicated volunteers is a critical job. Please consider making an important contribution to the future of NPMA by offering your time and expertise on one of the NPMA committees for the July 1, 2015 - June 30, 2016 fiscal year. If you are interested in serving on a committee, division or affiliate organization's council/board, please complete the 2015 Committee Interest Form. All submissions must be received by April 1. If you have difficulty with this link, please email npma@pestworld.org. You will be notified prior to June 1, 2015 if you have been appointed by the president-elect as a member of one of these groups. To begin, log-on to the NPMA Online Learning Center and take the Pollinator Awareness Training. This course will take approximately 25 minutes to complete, plus additional time to finish the quiz. This training is free for members, and upon successful completion, you will receive a certificate. Visit My.NPMAPestWorld.org to download customizable pollinator materials. 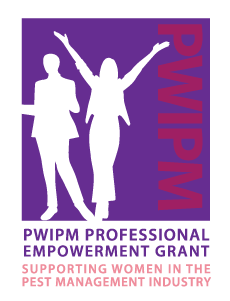 PWIPM is now accepting nominations for their annual Professional Empowerment Grant. This grant will be awarded to one female who is interested in advancing or securing a career in pest management. This grant may be used by the recipient to defer costs related to advancing their career or education in the pest management industry. The grant will be a minimum of $1000. It also includes $500 towards travel expenses to attend the National Pest Management Association's PestWorld in Nashville, TN in October 2015. Click here for more details and requirements. Does Foraging Age Contribute to Colony Collapse Disorder? A team of scientists, led by Dr. Clint J. Perry of Macquarie University in Sydney, Australia, has been investigating possible mechanisms for colony collapse disorder, a so-far unexplained problem that has sporadically plagued managed bee colonies since it was described in 2006. CCD is not synonymous with bee decline, rather it describes a specific suite of symptoms in which the foraging worker bees disappear while the hive, queen, brood, and honey remain intact. In this research, the demographics of the colony were manipulated so younger bees would have to forage; something that may happen in a stressed colony when older and more experienced foraging bees die at a high rate (due to parasites, pathogens, and other stressors). The young foraging bees were fitted with radio tags and tracked when they left the colony. Throughout the research, these precocious foraging bees were not very effective, both more likely to die in their first outings and making fewer total foraging trips than a normal foraging bee would. The results of this study may help explain the one part of CCD, but the whole picture remains shrouded in mystery. This paper was published in the most recent volume of the journal Proceedings of the National Academy of Sciences under the title, “Rapid behavioral maturation accelerates failure of stressed honey bee colonies” . NPMA representatives last week met with officials at the White House's Office of Management and Budget to express concern about a pending U.S. Department of Agriculture Animal and Plant Health Inspection Service rulemaking establishing a $375 per per export fumigations. The proposed fumigation tax is one of several fees APHIS is seeking to establish or increase. Overall, the rulemaking would impose $530 million in additional fees. NPMA was joined at the meeting by representatives of several other organizations including the American Trucking Associations, National Association of Manufacturers, American Association of Port Authorities, Cruise Lines International Association, Produce Marketing Association, National Grain and Feed Association, Air Cargo Association and World Shipping Council as well as officials from the office of Congresswoman Frederica Wilson of Florida and the embassies of Canada and Chile. U.S. Representative Bob Gibbs of Ohio last week reintroduced legislation exempting lawful pesticide applications performed directly to or near bodies of water from redundant, bureaucratic and costly Clean Water Act permits. The Reducing Regulatory Burdens Act has passed the House of Representatives a number of times during the last two Congresses but has yet to see a vote in the Senate. Republican control of the Senate increases the likelihood that the measure will come up for a vote in the upper chamber this session, however. Click here to read more about H.R. 897. The Federal Aviation Administration recently proposed rulemaking that could clear the way for pest management professionals and other business enterprises to use drones or unmanned aerial systems commercially. Under the proposal, operators would need to pass a written proficiency test, register the drone and pay about $200 in fees — but would not have to obtain a regular pilot’s license or demonstrate their flying skills. Click here to read a Washington Post article about the rulemaking. 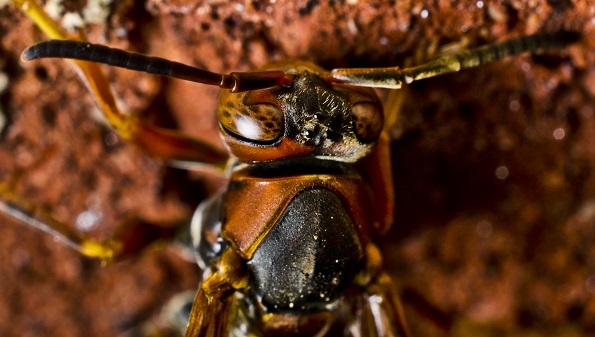 The Arizona Senate yesterday passed industry supported legislation making technical corrections to the law governing structural pest control including clarifying that Termite Action Report Form fees apply only to termite action and not other wood destroying organism work. Click here to read Senate Bill 1078. Meanwhile, the Arizona House of Representatives yesterday approved a bill repealing the longstanding requirement that school districts develop procedures to provide parents with advance written notification of pesticide treatments. Click here to read House Bill 2181. An Ohio Senator last week introduced a bill designating May as Multiple Chemical Sensitivity Month. Click here to read Senate Bill 51. A West Virginia Senate committee last week declined to approve legislation mandating criminal background checks and drug testing for applicants for a commercial pesticide applicator's license. The panel instead referred Senate Bill 413 to a subcommittee for further consideration. Click here to read the bill and related information. Maryland lawmakers are considering a bill severely restricting the application of lawn care pesticides on the grounds of specified child care centers, schools, and recreation centers and on other specified recreational fields. Click here to read House Bill 995 and related information. MN Legislation Narrows Definition of "Structural Pest" & "Structural Pest Control"
A Minnesota representative recently introduced legislation narrowing the scope of the terms "structural pest" and "structural pest control." Click here to read House File 846. The Oregon House of Representatives last week passed legislation expanding the the lists of land on which fireworks may be used to repel birds and other animals under permits issued by State Fire Marshall. The list of lands in House Bill 2432 includes farms, forests, waste and recycling facilities, airports, golf courses, and properties located outside of an incorporated city. Click here to read legislation and related information. TN Lawmakers Consider Revising Definition of "Certified Applicator"
Tennessee legislators are considering a bill expanding the definition of the term "certified applicator" to include a person who is "certified by the Commissioner of Agriculture as authorized to, directly or indirectly, use, buy, sell, or supervise the use of restricted use pesticides; directly or indirectly, use, buy, sell, or supervise the use of restricted use pesticides." Click here to read HB 906/SB 794. A bill was recently introduced in the Washington State Legislature that would require school districts to implement an integrated pest management policy based on the IPM Institute of North America's IPM standards. Senate Bill 6002 also mandates school districts to obtain the IPM Institute's IPM Star certification. Click here to read the legislation. Griffin Pest Solutions of Kalamazoo, Michigan has been accepted to test the beta version of FoldScope, a completely functional microscope built purely by folding paper. Their employees are going to use this paper technology in the field and will be contributing their findings and feedback, and ultimately, participate in this global community experiment that has the potential to change life for undeveloped countries. March 15-17, 2015 Legislative Day Washington, D.C.